We'll be touching down in the Kenyan capital for a night of vibes and music. OkayAfrica will be hosting an intimate evening of music and drinks at Nairobi creative hub, The Alchemist, on December 13. 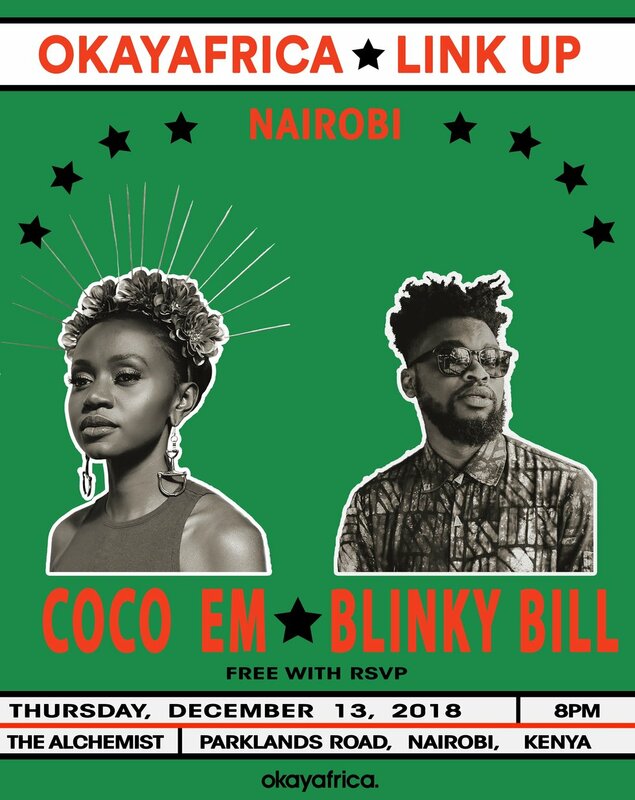 OkayAfrica Link Up: Nairobi will feature DJ sets from Blinky Bill—who recently dropped his widely-acclaimed new album Everyone's Just Winging It And Other Fly Tales—and Coco Em, Nairobi's hardest hustling DJ. Get ready to hear Blinky Bill's unique and addictive blend of hip-hop, beats and Kenyan influences, as well as Coco Em's East African house set. OkayAfrica's Music Editor, Kam Tambini, will be hosting the night alongside Kenyan-based music critic, curator and contributor Camille Storm.